to become a qualified aerospace supplier. of Commerce (TICC) and honorably supported by the Eastern Economic Corridor office of Thailand (EEC) and the Civil Aviation Authority of Thailand (CAAT). 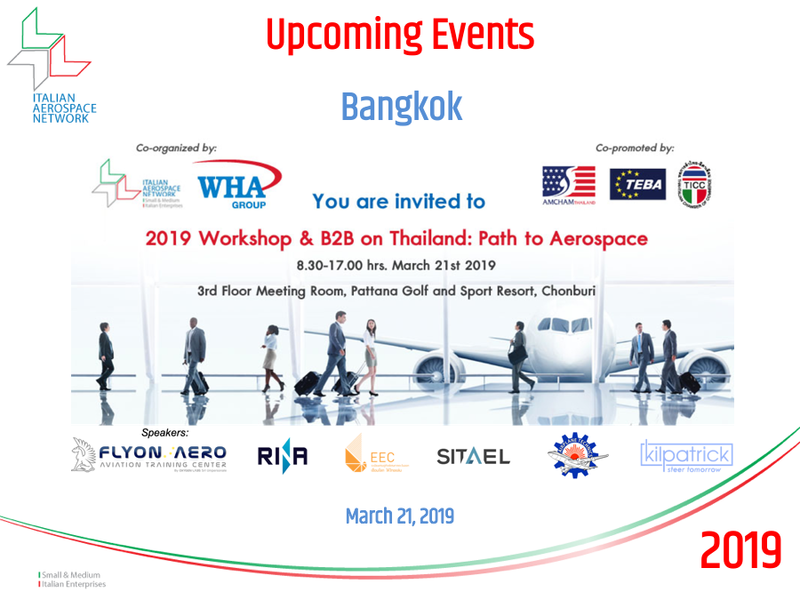 The workshop program is specifically tailored to match the companies’ interests with internationally recognized experts to cover all of the main topics a company should consider when entering the aerospace industry. The B2B meetings’ session (20 minutes for each meeting) between pre-registered Thai delegates and speakers to create an initial point of contact and establish direct communication channel.